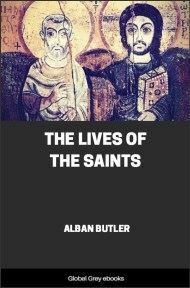 This is the Benziger Brothers edition of Alban Butler's Lives of the Saints, the most revered Catholic book after the Bible, the Missal and The Imitation of Christ. A Saint or two for each day of the calendar. Great for a daily meditation; each life is followed by a "lesson" from the life to help us apply the virtues of the Saint to ourselves. January 1.—THE CIRCUMCISION OF OUR LORD. CIRCUMCISION was a sacrament of the Old Law, and the first legal observance required by Almighty God of the descendants of Abraham. It was a sacrament of initiation in the service of God, and a promise and engagement to believe and act as He had revealed and directed. 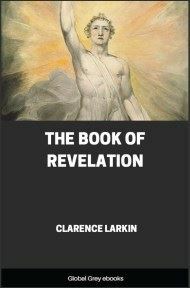 The law of circumcision continued in force until the death of Christ, and Our Saviour being born under the law, it became Him, Who came to teach mankind obedience to the law of God, to fulfil all justice, and to submit to it. 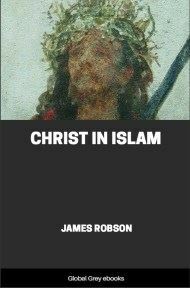 Therefore He was circumcised that He might redeem them that were under the law, by freeing them from the servitude of it; and that those who were in the condition of servants before might be set at liberty, and receive the adoption of sons in Baptism, which, by Christ's institution, succeeded to circumcision. On the day that the divine Infant was circumcised, He received the name of Jesus, which signifies SAVIOUR, which had been given Him by the angel before He was conceived. That name, so beautiful, so glorious, the divine Child does not wish to bear for one moment without fulfilling its meaning; even at the moment of His circumcision He showed Himself a SAVIOUR by shedding for us that blood a single drop of which is more than sufficient for the ransom and salvation of the whole world. IN spite of family troubles and delicate health, Fulgentius was appointed at an early age procurator of his province at Carthage. This success, however, did not satisfy his heart. 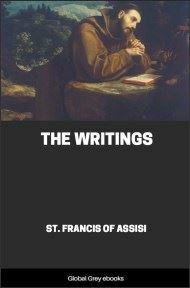 Levying the taxes proved daily more distasteful, and when he was twenty-two, St. Austin's treatise on the Psalms decided him to enter religion. After six years of peace, his monastery was attacked by Arian heretics, and Fulgentius himself driven out destitute to the desert. He now sought the solitude of Egypt, but finding that country also in schism, he turned his steps to Rome. 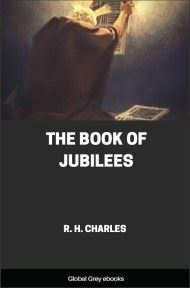 There the splendors of the imperial court only told him of the greater glory of the heavenly Jerusalem, and at the first lull in the persecution he resought his African cell. Elected bishop in 508, he was summoned forth to face new dangers, and was shortly after banished by the Arian king, Thrasimund, with fifty-nine orthodox prelates, to Sardinia. Though the youngest of the exiles, he was at once the mouthpiece of his brethren and the stay of their flocks. 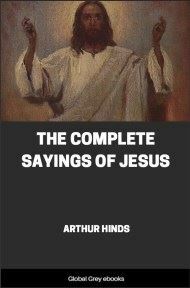 By his books and letters, which are still extant, he confounded both Pelagian and Arian heresiarchs, and confirmed the Catholics in Africa and Gaul. An Arian priest betrayed Fulgentius to the Numidians, and ordered him to be scourged. This was done. His hair and beard were plucked out, and he was left naked, his body one bleeding sore. Even the Arian bishop was ashamed of this brutality, and offered to punish the priest if the Saint would prosecute him. But Fulgentius replied, "A Christian must not seek revenge in this world. God knows how to right His servants’ wrongs. If I were to bring the punishment of man on that priest, I should lose my own reward with God. And it would be a scandal to many little ones that a Catholic and a monk, however unworthy he be, should seek redress from an Arian bishop." On Thrasimund's death the bishops returned to their flocks, and Fulgentius, having reëstablished discipline in his see, retired to an island monastery, where after a year's preparation he died in peace in the year 533. MACARIUS when a youth left his fruit-stall at Alexandria to join the great St. Antony. The patriarch, warned by a miracle of his disciple's sanctity, named him the heir of his virtues. His life was one long conflict with self. "I am tormenting my tormentor," replied he to one who met him bent double with a basket of sand in the heat of the day. "Whenever I am slothful and idle, I am pestered by desires for distant travel." When he was quite worn out he returned to his cell. Since sleep at times overpowered him, he kept watch for twenty days and nights; being about to faint, he entered his cell and slept, but henceforth slept only at will. A gnat stung him; he killed it. In revenge for this softness he remained naked in a marsh till his body was covered with noxious bites and he was recognized only by his voice. Once when thirsty he received a present of grapes, but passed them untouched to a hermit who was toiling in the heat. This one gave them to a third, who handed them to a fourth; thus the grapes went the round of the desert and returned to Macarius, who thanked God for his brethren's abstinence. Macarius saw demons assailing the hermits at prayer. They put their fingers into the mouths of some, and made them yawn. They closed the eyes of others, and walked upon them when asleep. They placed vain and sensual images before many of the brethren, and then mocked those who were captivated by them. None vanquished the devils effectually save those who by constant vigilance repelled them at once. Macarius visited one hermit daily for four months, but never could speak to him, as he was always in prayer; so he called him an " angel on earth."